Classic literature tends to fall by the wayside in today’s 140-character-limit world. The amount of time and focus it takes to read a contemporary novel turns a lot of people off, let alone sitting down to slog through a 500-page “Literary Classic,” with mystifying symbolism and mind-bending metaphors on every page. But before writing off any book with the dubious distinction of “Classic,” take a look at the following six novels for a relatively easy read that will prepare you for even the most hoity-toity of cocktail conversations. Ranked by Time in the top 100 of all novels published since 1923, and read all over English classrooms, 1984 has golden status as a literary classic. Unlike most classics though, it’s definitely not short on action and suspense, with the two main characters pretty much on the run from Big Brother almost from the beginning. Any book that’s written by a Pulitzer prize winner and been on a banned book list, gets the nod as a classic of literature. Fahrenheit 451 is like 1984 in that it’s set in a dystopian future with an authoritarian government. It’s a quick read (only 159 pages), and it’s chock full of poignant commentary that has shaped the collective conscious, without putting readers to sleep. A novel based on a forlorn millionaire who throws extravagant parties in search of his lost love has served as high drama since the young Fitzgerald wrote this classic in 1925. With the book being made into a movie twice, it’s the classiest soap opera out there. Yet it’s been called The Great American Novel by some. Before the Lord of The Rings and Hobbit movies exploded, The Hobbit (and its sequels) were considered some of the best juvenile fiction books of all time. Written by J.R.R. Tolkien, widely considered one of the greatest writers ever (the man has an entire society dedicated to him), the book is equally as riveting as the movie, if not more so. Written by a Nobel peace prize winner, Lord of The Flies was initially unsuccessful, but went on to be widely recognized. It’s a classic yet there’s a lot of fun stuff to keep the reader on their toes like violence and subterfuge, oh and a disturbing commentary on the savage nature of human beings. While this novel’s pages are mostly occupied by a man’s fight with a singular fish, not exactly the most exciting premise, it is surprisingly readable, and forever a classic. It won the Pulitzer Prize and took only 127 pages to do so. 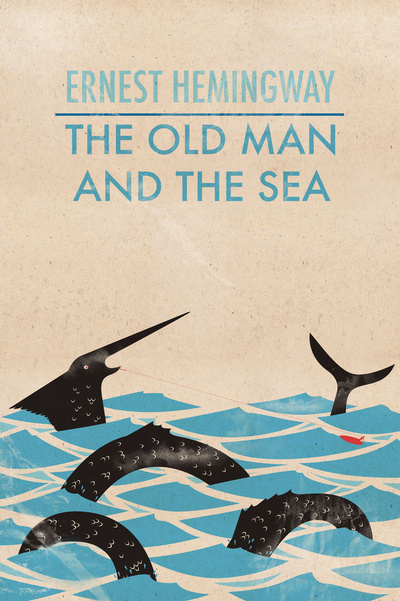 For readers that can’t slog through the slow pace of Hemmingway’s other work, The Old Man and The Sea is a great remedy.